We here at Pink Truth are still human. We didn’t defog out of Mary Kay and suddenly become vicious negative sub-human life forms, contrary to the Pink spin about this website. It’s no wonder that NSDs really don’t want consultants or potential recruits coming to this site and reading an opposing view from what they are being told at a guest event or from a recruiter. The information here opens up doubt. What happens when you read Pink Truth is suddenly your suspicions become confirmed. But let’s face it, you had the suspicions or you wouldn’t have been “looking.” You didn’t just “stumble across” Pink Truth. You had a crack in your positive mental attitude bubble and went looking. 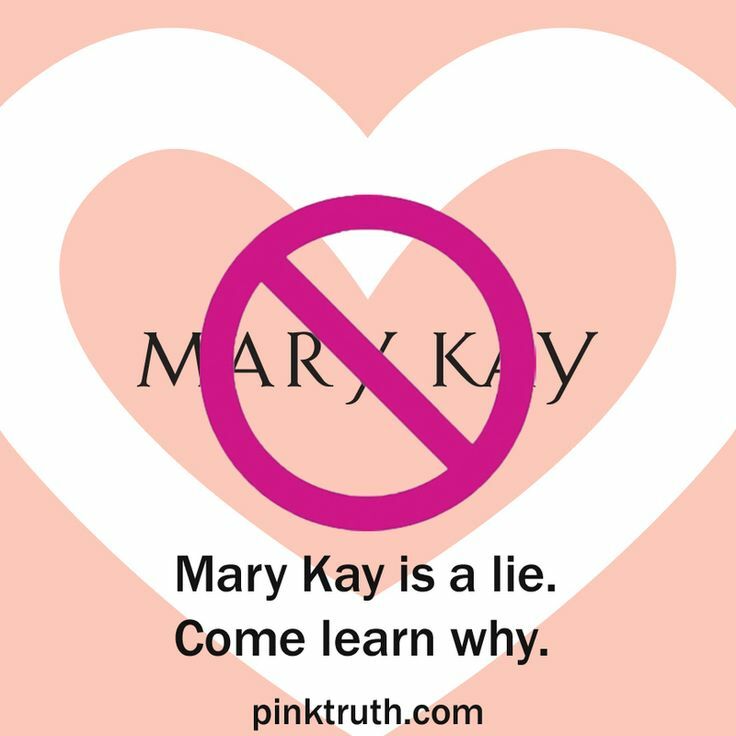 Supposedly there are “good” Directors still in Mary Kay doing everything right, and in no way guilty of the things we bring out. I would say a high percentage of Pink Truth Directors would call themselves “good” Directors. Good Directors care for their teams, and set a good example. They promote selling along with recruiting and attendance at all company events in order to constantly refurbish the “dream.” They teach about image and attitude and goal setting and 60/40 and full wagons and scripts that work. They “bee-lieve” in the company and support their sister Directors and National if they have one. They never talk about anything negative because they have been trained to believe that you never know when your negativity would cause the downfall of another who is questioning themselves or the company. A “good” Director would never be a party to the things the rob someone of their dreams. Yes, I think all of us here were “good “Directors. So who are these Good Directors who are remaining in Mary Kay, who have settled on a completely different perception about the business? When you limit the amount of information you will allow, as any good positive mental attitude groupie would, you have created a fantasy world where only hearts and flowers color your day. What appears to be a lifestyle of encouragement, seeing only the positive in all things, becomes dangerous behavioral ground when applying the same model to business dealings. Unbeknownst to us, in the real world of business outside the “pink bubble,” some behaviorists and human resource professionals call this the Pollyanna effect. In a paper written in 2005, by members of the management studies department at the University of Minnesota, (Goel, Bell and Pierce – “The Perils of Pollyanna-Development of the Over-Trust Construct”) the authors dig into the Pollyanna-ish notion that everyone is worthy of trust and everything should be viewed with only the best possible intentions. Life handing you lemons in which to make lemonade may sound all cheery and right, until one determines that there might be a reason you are constantly being pelted with lemons. While Pollyanna might continue to believe she needs to get out another pitcher and ice, as we would have been taught in Mary Kay, one wonders why she doesn’t stop to evaluate why she’s a target. The “Positive Mental Attitude” model reveals the danger in never evaluating the cause of the reoccurring trouble. Every event, every meeting, every tape produced by Mary Kay and the NSDs is designed to foster “trust” in what they are telling you. By omitting any negative downside, you are swept away in a construct of “over trusting” which is why you went for years doing the same things over and over again, with less and less ability to evaluate the consequences. Likewise, the many “good Directors” who are still on the payroll, are trapped in a “glad game” exercising their blind trust in the women above them, who believe in the woman who started it all, without any serious evaluation of the thousand upon thousands of women who stopped and reflected and evaluated whether the trust was warranted and the truth was shared. It’s hard to believe that such a seemingly noble attitude of positivity is actually a formula for exploitation in the hands of the unscrupulous. The idea that nothing perceived to be negative is allowable for discussion or reflection is to remain a child, living in a world of pretense, hands clasped tightly over the eyes and ears, humming a tune. Our director and consultant friends, particularly those who are being coerced up the career path are being exploited for their trust. They cannot read this site because it will shatter their rose colored glasses: treasured beliefs that have held them in Pollyanna’s world for so long will come crashing to the ground. When you have believed so much, trusted so much in those you thought were telling you the truth, let every defensive barrier down, and practiced only positivity in the face of every warning buzzer that went off, while burying every suspicion- chastising yourself for ever thinking badly, you are an example of a Pollyanna in Peril. We who have come here are not “negative”…we have simply evaluated the whole picture and have now seen the cost of blind belief. Every Unit has members buried in debt, chasing recognition and prizes. Every Director knows that she has “over ordered” inventory—not based on sales but on survival or upline pressure. Every Director knows that consultants come in and flush out, and never question if there is a problem or solution. Every Director knows they have slanted their training and counsel, omitting the full story and hiding from the consultant, anything that might discourage them (like the fact that they pay for their “free” car). We urge you to open your eyes, you who are also “Good Directors” and evaluate whether being a Pollyanna has served you well, and even more importantly, whether those who follow you deserve the same fate. What Do You Mean We’re Negative? We’re 100% Positive! Is Mary Kay Recession Proof? “What happens when you read Pink Truth is your suspicions suddenly become confirmed”. Yes!! Excellent article. I believed in this company for years, until the overwhelming facts of massive debt and never advancing further without stooping to blatant lies and deception, stopped me in my pink tracks. I was convicted. I could no longer support the methods necessary to continue as I was. My suspicions were confirmed- thanks to Pink Truth! Thank you ladies- I’m forever grateful! Wow wow wow, my favorite article to date! I relate to every single word. ” Your negativity might be the downfall of one who is questioning themselves or the company” really struck me. The culture in MK (and all other MLMs) of nearly worshiping “the company”and and discouraging any questioning “the company” is SO WEIRD. You really don’t see this in other workplaces/ businesses outside of MLMs. It’s a huge red flag. In my non-MK job, (hospital and schools) I may not always like the answers given to me by administration, but I’m never told “don’t ask”, or “don’t doubt”, or “just believe/ trust the company/ our company is the greatest”. I’m actually given real answers that don’t dodge the question. WOW – agree– great article! I, tooo, trusted the company completely & my directors, NSD and all the hype and bee-leived (as an IBC) many years ago in the early 1980’s. Love this Pinktruth Site. Some time ago I was in the pink fog, but when I found this site, I discover the hypocrisy in Mary Kay “business” and I was reluctant to recruit because I believe that the recluits are human beings and I didn’t want to see them as tools/ $$$ for “move on” in the carrer and I discover thar MK do test on animals. I quit and I I am feel free and awakened. And now I use vegan beauty products. 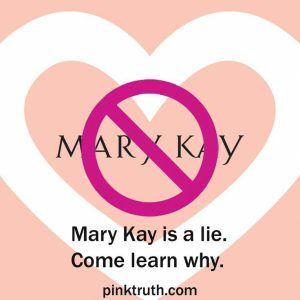 Mary Kay Business is a hypocrite business, fake since you enter as a consultant. Women of Excellence- this term (used all the time in the Mary Kay circles) when it comes to the mind it means being sincere, honest, and seeing others as people and not as tools to use to achieve career advancement. It is not using people to achieve selfish goals. Mary Kay’s business is the opposite of this. They use and deceive people. Thanks to PinkTruth for opening our eyes.